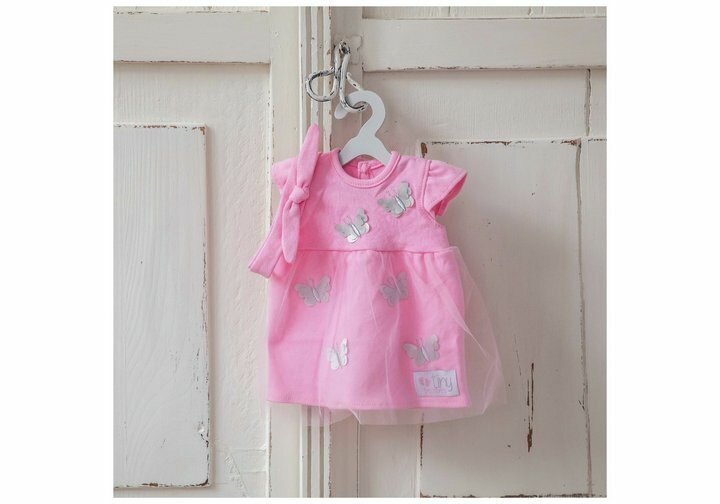 Your doll will look adorable wearing the Chad Valley Tiny Treasures Butterfly Tutu Dress Outfit. Coloured a fetching pink, the eye catching butterfly themed jersey tutu dress has pleated sleeves, an over-skirt made from organza with amazing silver butterfly detail, pink jersey head band with a cute bow and finish off the ensemble pink jersey socks with organza bows. Size H11, W25.5, D4.5cm.